A precocious spring, drought conditions throughout the year, and an early harvest are three of the signatures of 2014 in Napa Valley. And the wines? My first tastings from barrel suggest that Napa Valley's producers have a highly promising vintage on their hands. The best 2014s are aromatically expressive, rich and energetic, with striking balance and plenty of potential. Stylistically, the 2014s remind me of 2013s, with their dark profile and intensity, but the 2014s have less tannin, structure and overall weight. Based on where the wines are today, my expectation is that 2014 will be close to quality to 2013, while it is increasingly clear that 2012 is the least interesting of Napa Valley’s three most recent vintages. Two thousand fourteen is the third year in the current drought cycle. When I visited Napa Valley in mid-April that year the plants were already a good two weeks ahead of schedule. Early indications predicted a generous crop, which was surprising, considering the abundant yields of the previous two years and the abnormally warm, dry weather. That pace held throughout the summer and into the harvest. Futo, one of the first estates to pick in recent years, brought in Merlots starting on August 28, which is virtually unheard of in Napa Valley. At the other end of the spectrum, Brad Grimes at Abreu was only about halfway through harvest when I stopped by to taste fruit coming off the sorting table on September 20. Unlike Bordeaux, where wines are made with the specific goal of being presentable the following spring, in Napa Valley, many producers haven’t even started racking their wines, much less working on blends, in the spring. That is true at Ovid, BOND, Harlan Estate and Colgin, where I tasted the 2014s straight out of barrel, à la Burgundy. Yields were lower than in 2013, and most winemakers I spoke with described the 2014s as harder to extract than the powerful, structured 2013s. One of the challenges winemakers faced was fast malolactic fermentations that in some cases took place during the alcoholic fermentations, which can leave traces of acetic acid (volatile acidity) in the wines if not caught early and addressed with the judicious addition of SO2. But the 2014s I tasted from barrel were mostly suave and open-knit, with less of the raw intensity I saw in the 2013s a year earlier, but also more energy and tension than the 2012s at the same stage. At the top estates, there appears to be very little, if any, real drop in quality vis-à-vis 2013. Tasting from barrel, once the wines have finished their malos, provides an invaluable opportunity to get a first look before any blending has taken place. For example, at Colgin, I tasted more than a dozen samples, variety by variety, from the two estate properties; Tychson Hill and IX Estate, in addition to the fruit that Colgin sources from David Abreu. At Screaming Eagle, I saw a number of Merlots, Cabernet Francs and Cabernet Sauvignons, each of them from different blocks on the estate, and all of them highly expressive of site, clonal selection and a host of other variables. The tasting at Vine Hill Ranch encompasses all the different blocks from that property. All of these are inputs for what will ultimately be a final review from bottle two years after I first visited the properties during harvest. Although the subject of terroir is most often reserved for established Old World regions, tasting wines early from barrel simply confirms that Napa Valley is home to an extraordinarily diverse range of soils, microclimates and exposures that is just as multi-faceted and complex as those of Burgundy, Bordeaux, Piedmont, Tuscany and other regions where wines are inextricably linked with the concept that they should reflect their origins. I also tasted a number of 2013s in what were pretty close to final blends. 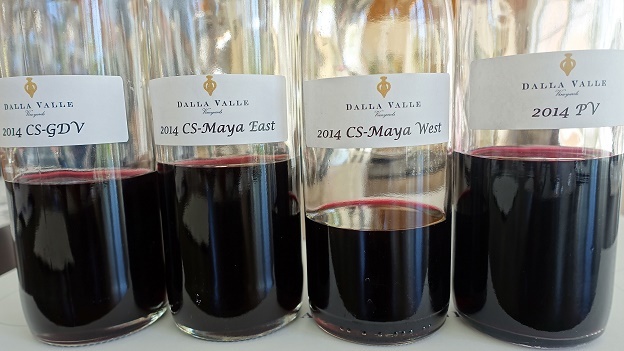 The 2013s remain dark, powerful wines in the mold of the 2010s. While the 2013s - especially at the top level - are intense and viscerally thrilling, they are not likely to be approachable for a number of years. Readers who appreciate structured, age worthy wines will adore the 2013s, but readers who prize raciness, opulence and near-term accessibility are likely to find more pleasure in other vintages. 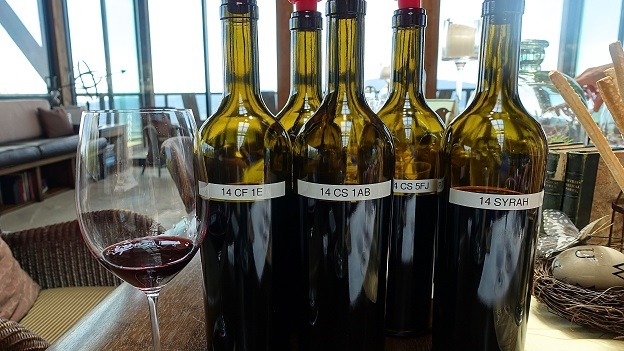 Most of the top Napa Valley reds will be bottled this summer. I will start tasting the finished 2013s, along with the first 2014 blends, this coming September and October for our fall coverage. 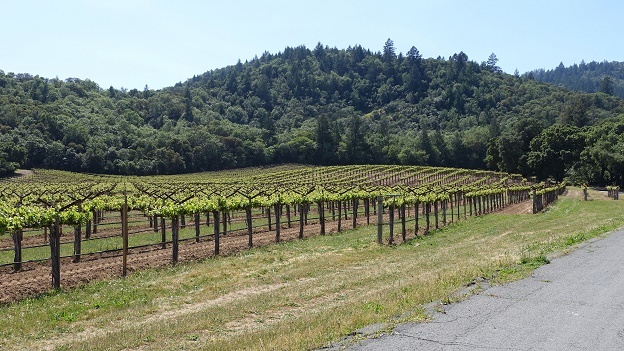 The California drought was very much on producers’ minds during my spring visits, as water rationing was announced while I was in Napa Valley. Restaurants were not serving water at the table unless asked, a small example of conservation impacting every day life. Most of the producers I saw did not appear too alarmed, although many of them are clearly thinking about the future of farming and, specifically, issues around clonal selection, vine density and canopy management, and how they might be affected if conditions worsen.